Attendance of an alcohol education class is required for any person convicted of a Burbank Driving Under the Influence or Burbank wet reckless offense. This class is also necessary for drivers whose licenses have been suspended by the DMV. The education component is considered to be an important part of any DUI sentence in order to prevent future impaired driving incidents. Those who are kicked out of their DUI education class or who fail to complete the class in a timely fashion can risk being violated by the court and may not be able to have full driving privileges reinstated. There are several different alcohol education classes of varying lengths, and the class assigned by the court will depend on several different factors. 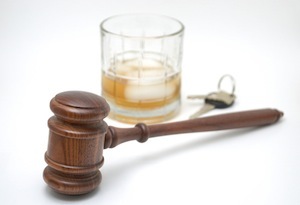 A Burbank DUI conviction will trigger one of the following alcohol education requirements. Burbank drivers who are convicted of a reduced driving under the influence offense, such as wet reckless or exhibition of speed, may be required to take the SB 1176 class, which is twelve hours long and is the shortest class available. The class meets once a week for six weeks. Each class session is two hours long. While the SB 1176 may be required by court, it will not satisfy the DMV’s alcohol education requirements. Most first time DUI offenses require that the defendant complete the three month (AB 541) program. This would be imposed for defendants who do not have excessively high blood alcohol contents (above .15 typically) or who did not have extenuating circumstances such as a refusal or a collision. The AB 541 class is offered in several different Burbank locations as well as throughout Los Angeles County. The Department of Motor Vehicles also requires that drivers complete an AB 541 class to have their license reinstated. A driver must be enrolled in an AB 541 class in order to get his or her restricted license. Some first time DUI defendants may be required to complete the six month class (AB 762). This class is not offered in as many locations as the three-month or nine-month class. The AB 762 may be imposed on those whose blood alcohol level was higher than .15 or may have refused testing. This class features weekly class sessions, group counseling and one-on-one sessions. For first time DUI defendants whose BAC was excessively high, who were involved in a collision, who refused testing or who had other aggravating factors, the court may require completion of the AB 1353 (nine month) class. This class is comprised of 12 classroom hours of instruction, 44 hours of group counseling and four hours of individual counseling sessions. The AB 1353 also requires the defendant to attend 36 Alcohol Anonymous sessions. A Burbank driver convicted of a second DUI offense is typically required to attend and complete the 18 month SB 38 class. In this class, the defendant would attend class instruction sessions, 52 sessions of group counseling, individual counseling and constant sobriety monitoring. A third DUI conviction within 10 years can involve jail time; however there may be an opportunity for the defendant to avoid extensive jail sentences by completing the SB 1365 (30 month) class. In the 30 month class, the defendant would attend class sessions, group counseling, individual counseling, monitoring and 300 community service hours. The defendant is expected to complete the required alcohol education class in a timely fashion. The judge will assign a due date by which the defendant will have to complete his or her class. While the class providers will generally excuse one or two unexplained absences, failure to show up to the class can result in termination from the class and a probation violation. For out of state defendants convicted of DUI in Burbank, the court may permit the defendant to take an online class or take a comparable class in their home state. If you have been cited for a Driving Under the Influence offense in Burbank, it is very important that you consult with a Burbank DUI Attorney right away. As a former Deputy District Attorney with over 14 years of prosecutorial experience, Burbank DUI Attorney Michael Kraut fights diligently on behalf of his clients charged with DUI. For more information about Burbank DUI education classes, and to schedule your free consultation, contact Burbank DUI Defense Lawyer Michael Kraut at the Kraut Law Group located at 2600 West Olive Avenue, 5th Floor, Burbank, CA 91505. Mr. Kraut can be reached 24/7 at 818-563-9810.